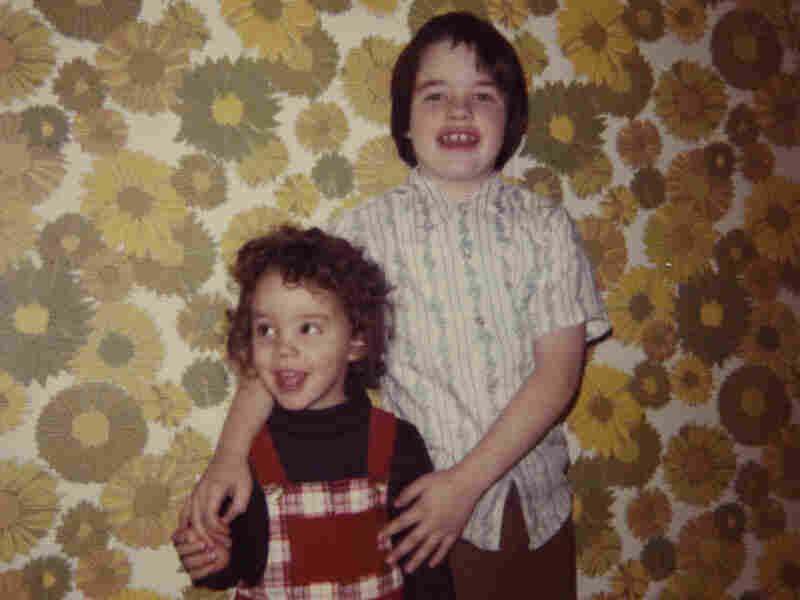 Siblings Share Genes, But Rarely Personalities Many siblings couldn't be more different from each other even though they share genes and environment. Take brothers Tom and Eric Hoebbel (above), whose personalities and lives are radically different. No one knows for sure why some siblings' lives diverge as much as they do, but there are three major theories that try to explain why. The fight happened a long time ago when they were still in school. But for both Tom and Eric Hoebbel, the fight was a defining event -- the kind of family story that gets trotted out for new acquaintances because it seems to convey something important. Tom, as the story goes, was just back from college, and the two brothers were together in the kitchen late at night. They chatted aimlessly about school and sports. Then the conversation turned to money. Tom's position was that money was inconsequential. "I said, 'I could just, you know, take out a dollar bill and burn it, and that wouldn't really matter,' " Tom says. But this idea horrified his brother. "A dollar bill is very valuable," says Eric. "Even if it's only $1, you can still do stuff with it." But Tom persisted, and to demonstrate his seriousness, he removed a dollar from his pocket and literally set it on fire. At which point, by all accounts, Eric completely and utterly freaked out. "I was probably being held back," Eric says. 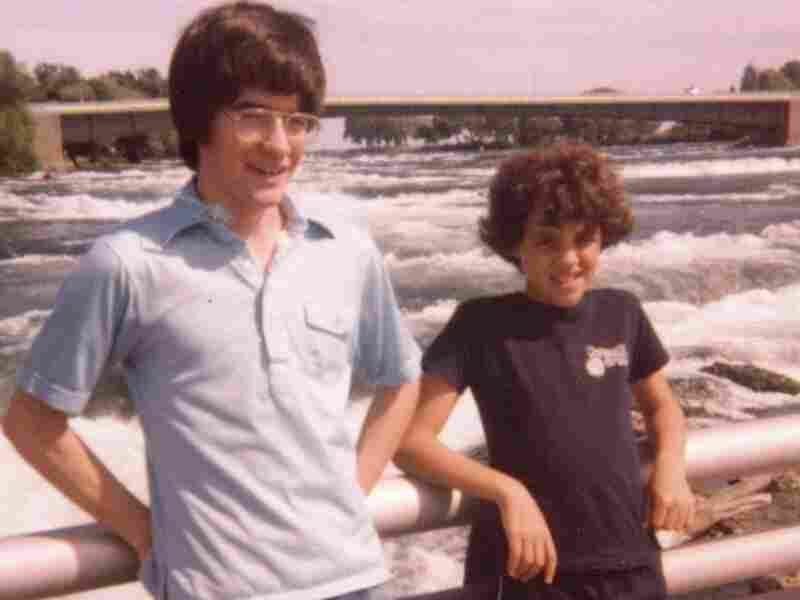 There they were: Two brothers of roughly the same height and weight, with the same hair color and the same last name. But as they looked across the table from one another, Tom Hoebbel says, what they saw was unrecognizable. "I think he couldn't conceive why I would possibly do that, just like I couldn't conceive why it was such a big deal to him." Today, Tom and Eric Hoebbel are middle-aged men, and their personalities and lives are radically different. Tom is an artist; Eric's a financial adviser. Tom is a former rebel who doesn't practice institutional religion; Eric's a joiner who goes to church almost every Sunday. Then, there is the wardrobe issue. Tom has one tie. Eric: 150. The Hoebbels are an extreme example of a common occurrence: Many siblings have very different personalities. But to researchers, this is a puzzle. Siblings share both genes and environment. Why, then, are they often so different? For most of history, psychologists thought of the study of siblings as backwater: Parenting was important -- siblings were not. Then in the 1980s, a researcher named Robert Plomin published a surprising paper in which he reviewed the three main ways psychologists had studied siblings: physical characteristics, intelligence and personality. According to Plomin, in two of these areas, siblings were really quite similar. Physically, siblings tended to differ somewhat, but they were a lot more similar on average when compared to children picked at random from the population. That's also true of cognitive abilities. "The surprise," says Plomin, "is when you turn to personality." Turns out that on tests that measure personality -- stuff like how extroverted you are, how conscientious -- siblings are practically like strangers. "Children in the same family are more similar than children taken at random from the population," Plomin says, "but not much more." In fact, in terms of personality, we are similar to our siblings only about 20 percent of the time. Given the fact that we share genes, homes, routines and parents, this makes no sense. What makes children in the same family so different? To come up with an answer, Plomin and other researchers did study after study. They were trying to tease out what role genes played in the personality differences they saw, and what role the environment played in those differences. When they began, they assumed, like everyone else, that being raised in the same environment would be one of the things that made children similar. This, however, is not what they found. "The environment works in a very odd way," says Plomin. "It's making two children in the same family different from one another. Not similar to one another -- different." The question was: Why is it that being raised in the same family pushes children in opposite directions in terms of personality? No one knows for sure, but there are three major theories. The first is a view popularized by a Darwin scholar named Frank Sulloway. In Sulloway's view, competition is the engine that pushes evolution -- just as in the wild. Therefore, in the context of a family, one of the main things that's happening is that children are competing for the time, love and attention of their parents. "And when organisms compete," says Sulloway, "there tends to be a phenomenon that Darwin long ago identified in the origins of species called the principle of divergence. The role of divergence is basically to minimize competition so it's not direct. And that leads to specialization in different niches." So if one child in a family seems to excel at academics, to avoid direct competition, the other child -- consciously or unconsciously -- will specialize in a different area, like socializing. Sulloway says he saw a small version of this happen in his own family. His elder brother was a great tennis player, and he eventually became a professional tennis player. Sulloway says he never in his life was able to take a set from his brother. "And in the course of my high school experience, I discovered I was much better in track than in tennis," Sulloway says. So he switched. "It was a very conscious decision. I just was never going to be as good in tennis as he was." The second theory has a slightly confusing name; it's called the non-shared environment theory, and it essentially argues that though from the outside it appears that we are growing up in the same family as our siblings, in very important ways we really aren't. We are not experiencing the same thing. The final theory is the comparison theory, which holds that families are essentially comparison machines that greatly exaggerate even minor differences between siblings. Imagine, says McHale, two friendly children born in the same family. "One of those children is incredibly extroverted, and the other is just very sociable," says McHale. In the context of any other family, says McHale, the second child would be considered an extrovert. "But in this family," says McHale, "she's the introvert." And once the introvert label is assigned -- even if in an absolute sense it's not really true -- it influences the choices that the child makes. "And so we pick different groups of friends, we spend our time in different ways that only reinforces what may have been a very small difference to begin with," McHale says. "And, you know, once you get these forces feeding on one another, differences escalate over time." So, why are Tom and Eric Hoebbel so different? Both said the answer was clear. In their case, it wasn't Darwinian. Eric especially was convinced he didn't gravitate toward the path he's on to be different from his brother. "No, I don't think it was a reaction to him at all," Eric says. Instead they point to the death of their father. 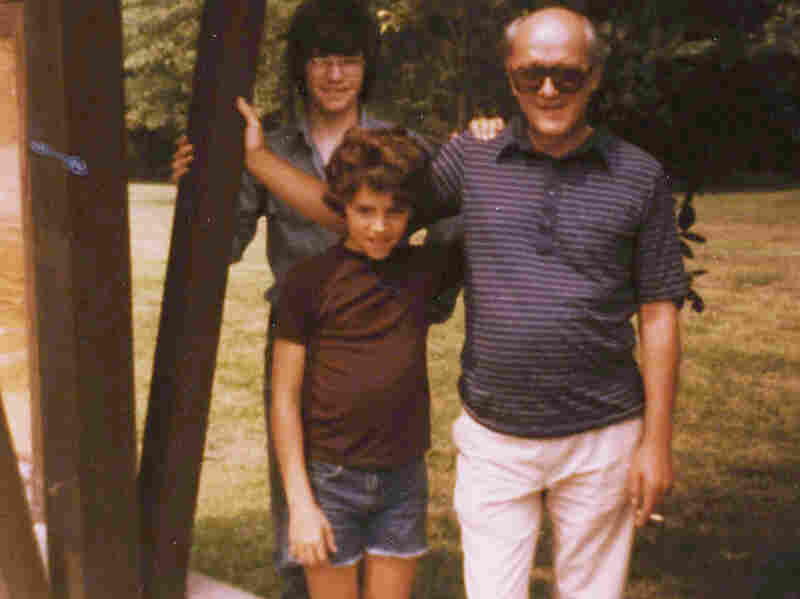 When their father died, Tom was 17 and heading off to college -- but Eric was only 12. So, in a sense, they grew up in different homes. Tom, the radical, grew up in a secure, two-parent home. But Eric the financial planner, as Tom points out, spent many years as the only man in a house destabilized both emotionally and financially by death. "And as he grew and went to college, I think maybe that was for him his primary motivation -- is to be the provider," Tom says. So, this Thursday as you eat your turkey, look across the table. There, you may see a brother, a sister, a step-sibling, a twin. And maybe they're your friend, and maybe they're your enemy, but one thing is for certain: Their very existence has had a profound influence on your life.